Long ago in a galaxy far, far away... well, more like our galaxy and on this planet, I watched a little sci-fi movie about lightsabers, space and Jedis. I was a kid and I didn't really understand what was going on - I was more inclined to Power Rangers, Buffy and Digimon at the time. As I grew up and continued to rewatch those movies on reruns, I started understanding the plot and enjoyed watching the films, especially the fourth and fifth episode. Soon the prequels came and while they weren't as great as the originals, they did soothe the tide until the future sequels came. I didn't hate them as most fans did; they were merely average. Now at the end of 2015, Star Wars has released the next official sequel since the original trilogy. My friend purchased our tickets months in advance and we waited until the big day. I finally watched the film and it definitely earns its own blog post. 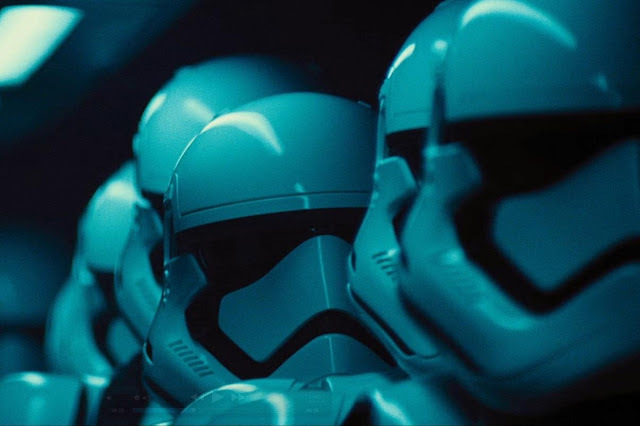 The movie I will be writing about today is the seventh installment in the Star Wars franchise: Star Wars: The Force Awakens. The Premise: Set many years into the future, the history of the Jedi and the events of the rebellion is now merely a legend. A new group of villains, The First Order, plans to take over the galaxy and destroy the last Jedi, Luke Skywalker (played by Mark Hamill). Luke has disappeared and in that time, the Resistance sets a plan to find Luke and stop The First Order. 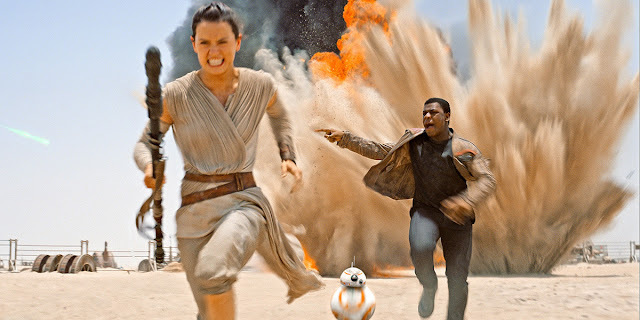 The Good: Right out of the gate, Star Wars: The Force Awakens delivers the drama and action that fans love. The pace of the film was quick and there wasn't a single moment that felt like the movie dragged on in plot or dialogue. For a two hour movie, that is almost unheard of in today's world. Every camera shot, word and action made by the characters tied together in a seamless and effortless way. It's something that the prequel films were missing, especially in the first film - there was TOO MUCH quiet and slow time. This sequel learned from their mistakes. Since this movie begins the start of a new trilogy, many new characters were introduced to the series. Most of them were a great addition, but Rey (played by Daisy Ridley) stands out above the others as the best new character. She's strong, quick-witted, and isn't a frail character who needs to be rescued by someone else. Rey was a fighter and I enjoyed every minute she was on the screen. 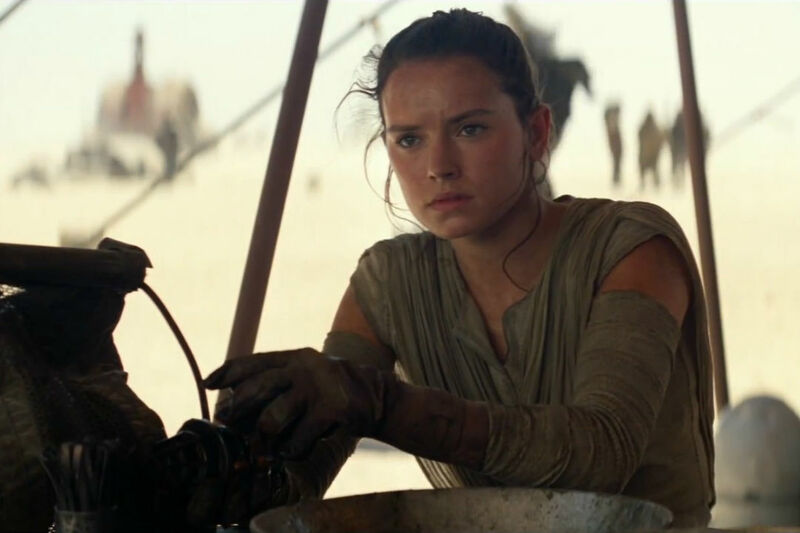 Don't get me wrong, I like Princess Leia and Queen Amidala (played by Carrie Fisher and Natalie Portman, respectively), but Rey offered something new to the Star Wars universe. The Bad: I don't have many negatives to say about the movie - it was overall really good. BUT, the only thing which irked me about the film were the similarities to Star Wars IV: A New Hope. As I watched the film and dissected many of the key plot points (as well as its structure), I couldn't help but notice that the two movie were quite similar. Wait... before I hear the debate about how I'm wrong, hear me out! I'm not saying that both movies are a shot-by-shot copy of each other, I'm saying that there are a few plot points and scenes that felt too similar with how the films were structured. I want to keep this review as spoiler-free as possible, so all I will say to this topic is that after you've watched Star Wars: The Force Awakens, go back and watch A New Hope to compare certain elements and figure out how it matches. You might be surprised at which similarities pop up! Star Wars: The Force Awakens is the movie fans have been waiting for after so long. The return to the galaxy offers a great story to get hooked back into the adventure and plenty of action if you're into lightsabers, lasers and the force. The movie introduces many interesting new characters that you would be excited to follow throughout the next trilogy, and they have the personality to match. The only downside may be the similarities to the fourth episode; however, be it intentional or not, A New Hope is a great movie and The Force Awakens is equally as amazing.